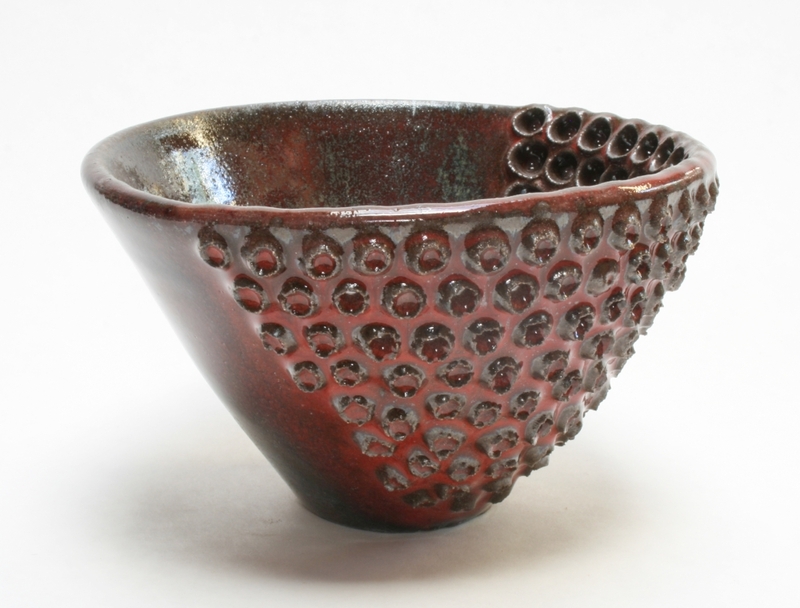 One in a series of small dark stoneware bowls which playfully explore the wide variety of effects achieved through perforations. 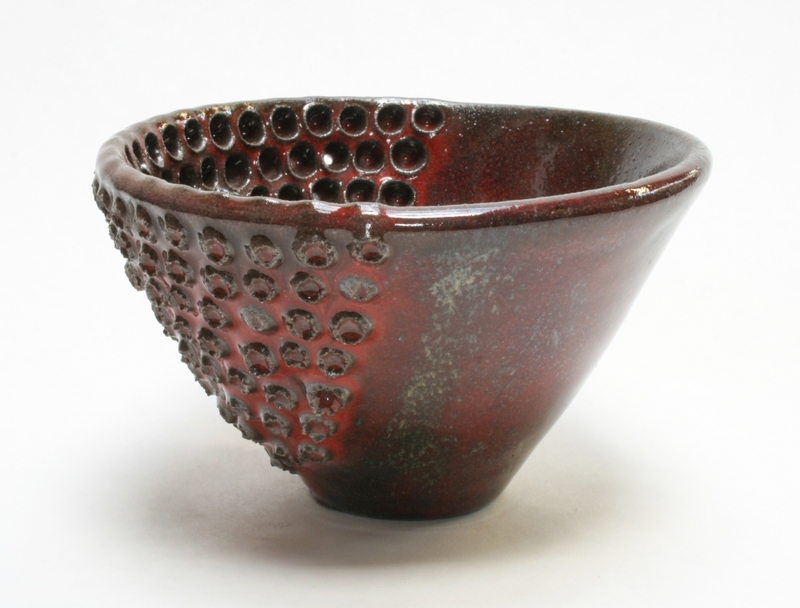 Though highly sculptural, these vessels are still suitable for some foods, flowers and collected objects. 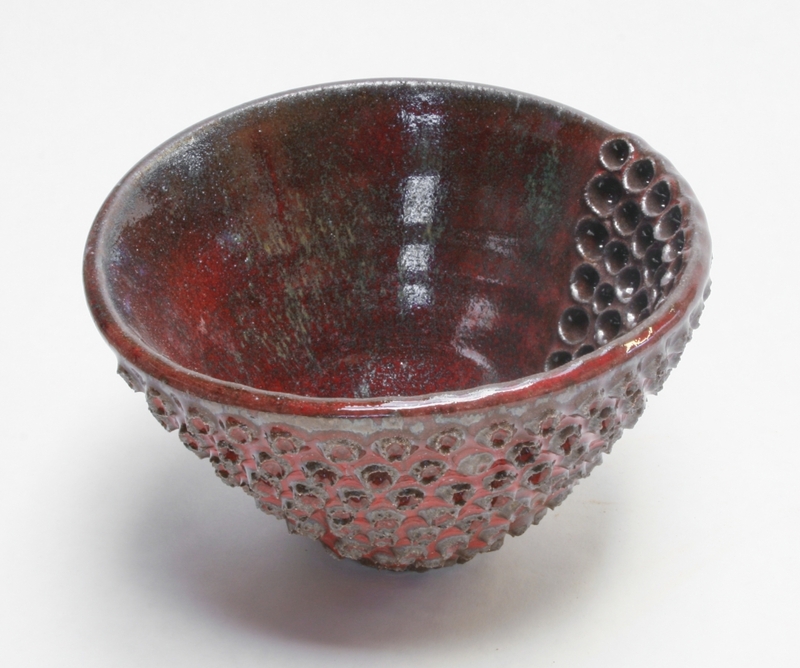 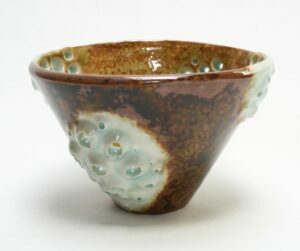 Oxblood Split – A matrix of small holes compose one side of this bowl glaze in the traditional reduced copper glaze of oxblood red. 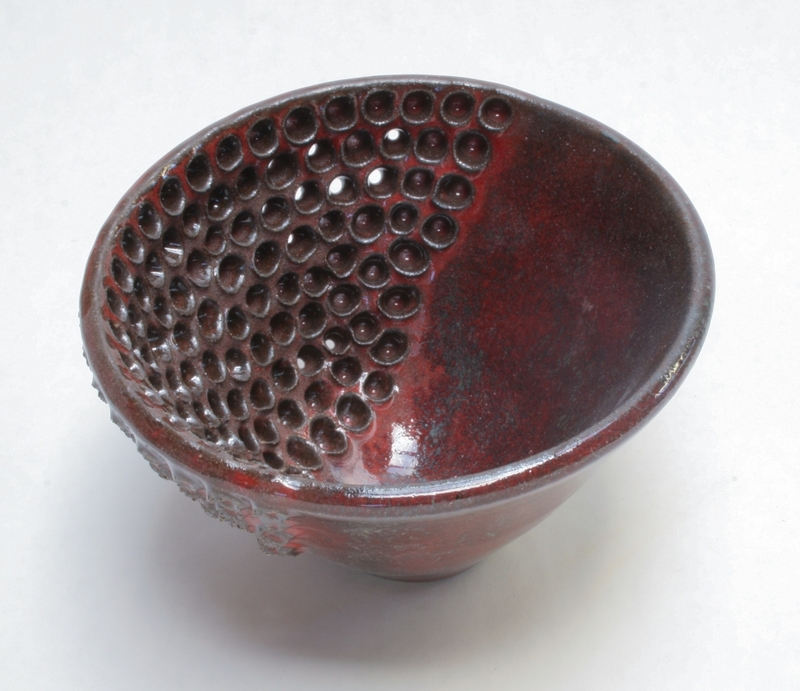 Suitable as a small straining bowl.